Made by the Jackson Farm Implement Co., these forks were commonly used by farmers from the mid 1800's onward. A wagon of loose hay was driven under the roof overhang gable. 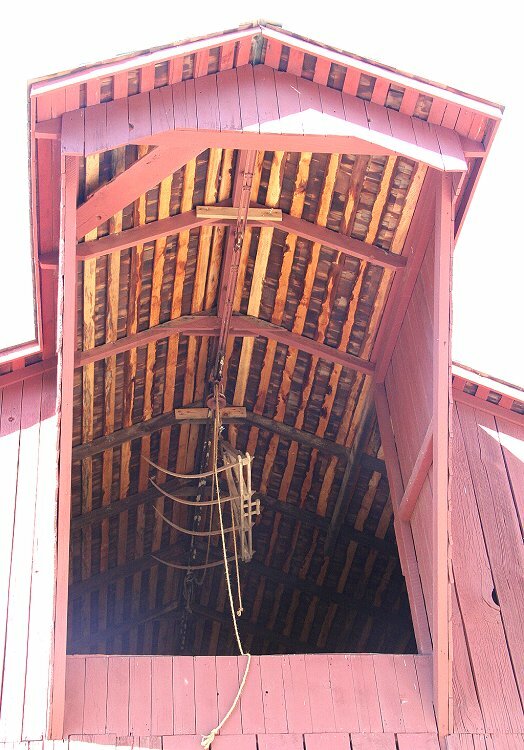 The fork is attached to a "trolley" riding on an iron track which extends the length of the barn. 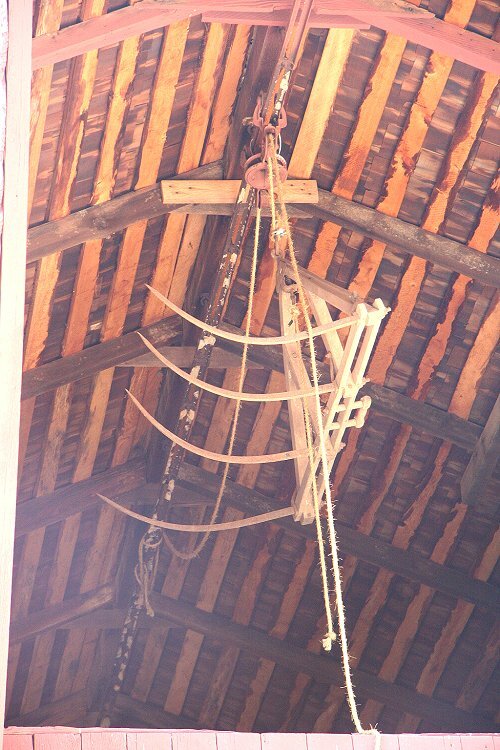 A rope runs from outside the barn front, through a pulley to the fork, then through a second pulley and out the rear of the barn and hitched to a horse. Once the fork is set into the hay, the horse pulls the fork up to the trolley, thence into the hay loft to the desired spot. The man there pulls a "trip" rope attached to the fork which lets the tines fall to vertical, dumping the hay. The horse is then backed and the rope in front is pulled, returning the fork and trolley to the overhang where the fork is unlatched from the trolley and is lowered again to the wagon.